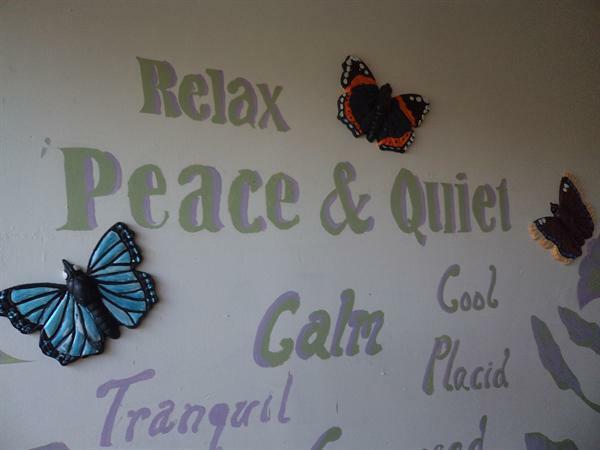 As part of the refurbishment of the counselling room at Oakfield, pupils were given a brief to decorate the room. 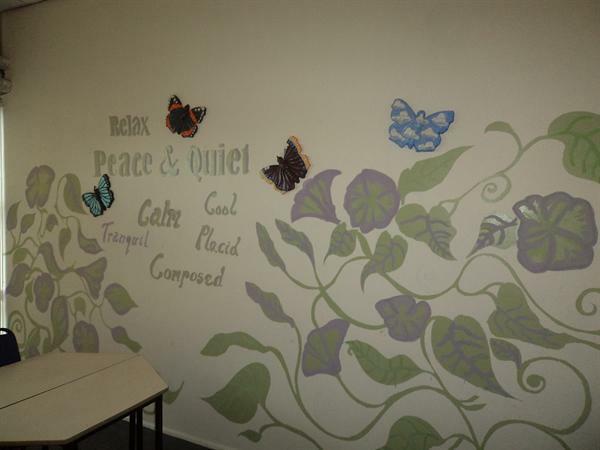 The design brief was based on a request from the counsellors to provide a room with a “calming atmosphere”. 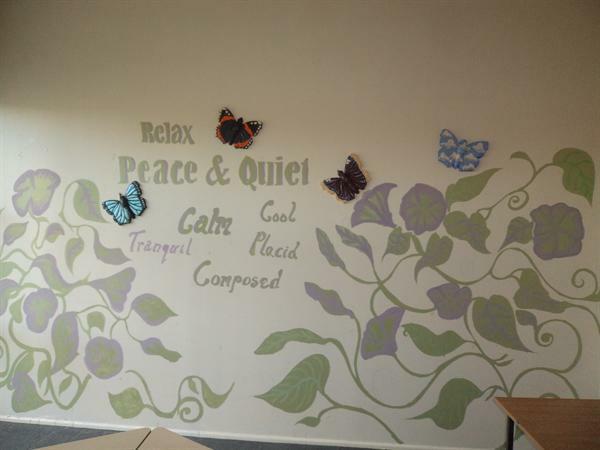 Rather than paint or decorate the room in vivid colours pupils were given the challenge to decorate the room in muted pastel colours. 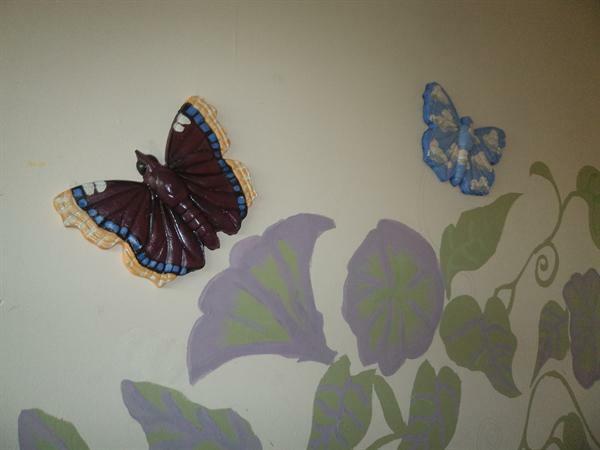 The design chosen was a floral pattern and this in turn led to the idea of painting butterflies on the walls. 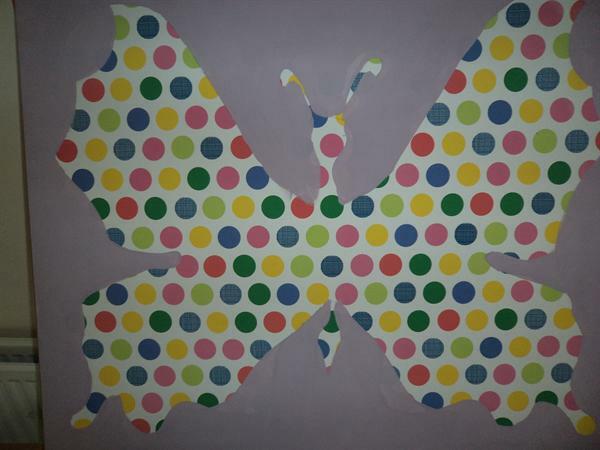 However, given that the room was in use three days a week it was decided that it may be more appropriate to paint the a floral pattern on the walls and create 3D butterflies which could be fixed to the walls. 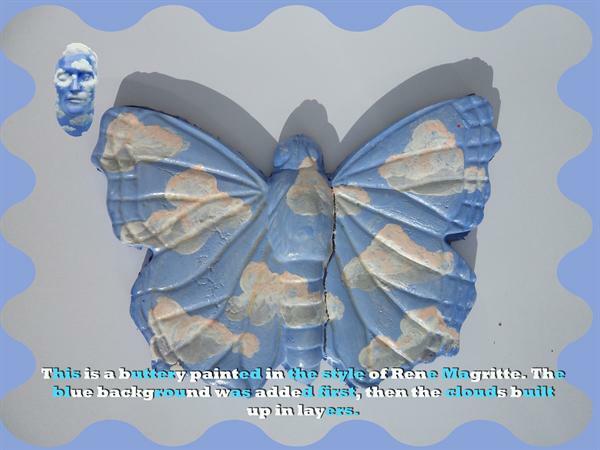 These butterflies were made using a mould and “Plaster of Paris”. 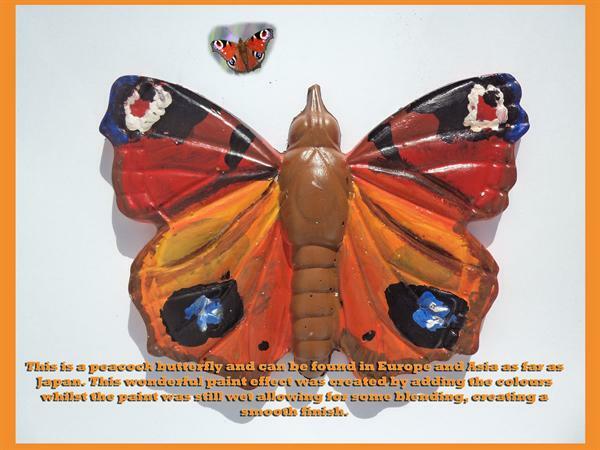 Initially, it was decided to produce four butterflies for the room. 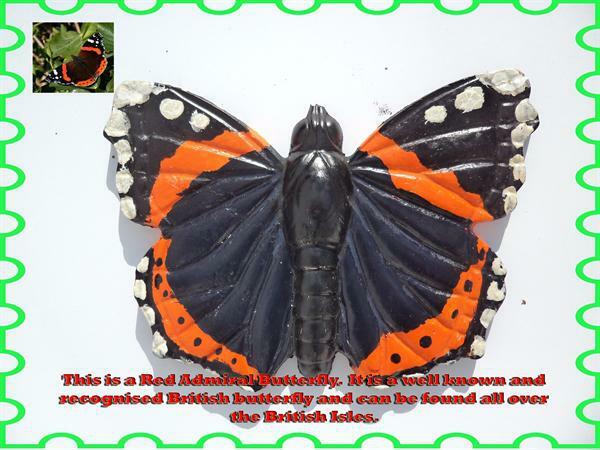 The four butterflies chosen by the pupils were, the Red Admiral, the Peacock, the Camberwell Beauty and a Cornflower Blue. All of which are native English butterflies. 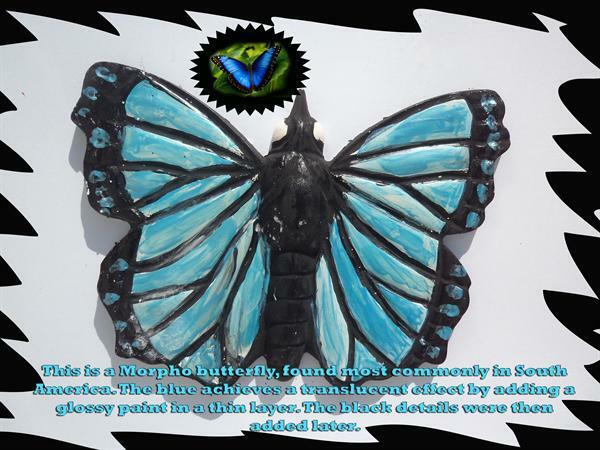 The process of moulding and painting these butterflies proved to be a popular choice pupils during their Art and Design lessons, eventually over twelve different butterflies were produced and many pupils eventually took them home to decorate their houses or were given to their caregivers as presents. 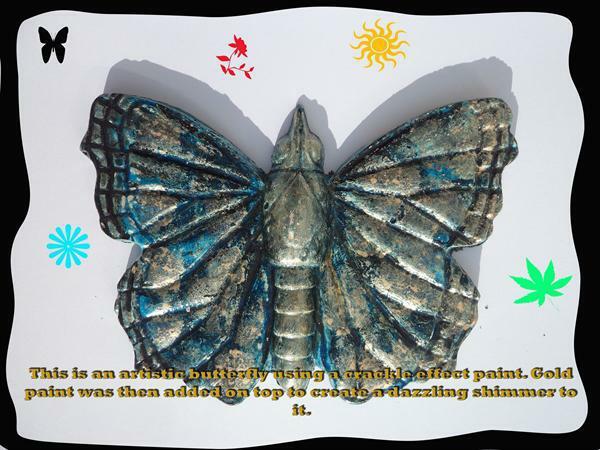 Many pupils decided to paint their butterflies in unusual and creative ways. 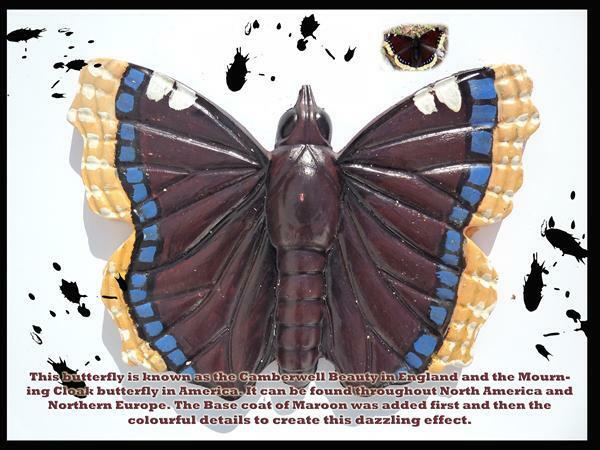 For example, some male pupils rejected the idea of painting “pretty” butterflies and opted for a more “robust” approach to their designs and painted camouflage, and military insignia onto their butterflies. 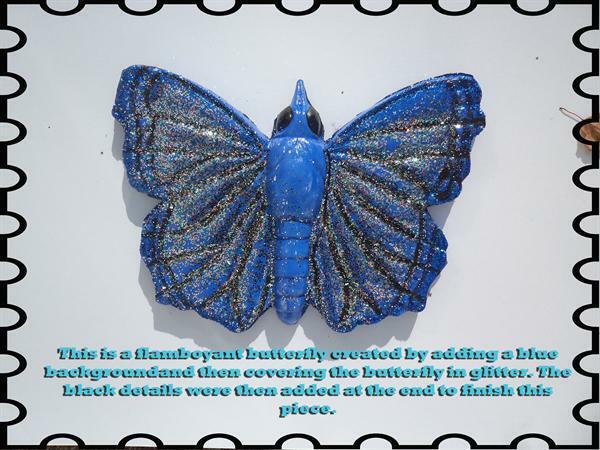 Other pupils opted for a more decorative approach and using different types of paint and materials they produced a number of eye-catching designs. 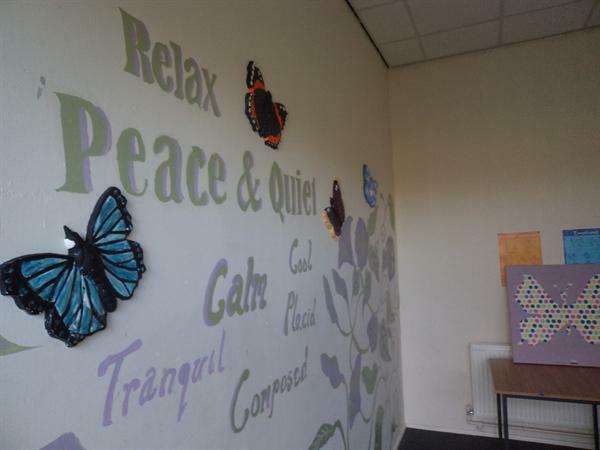 In addition to the floral pattern and the butterflies, pupils decided to paint various words and phrases which would help promote a calming atmosphere. 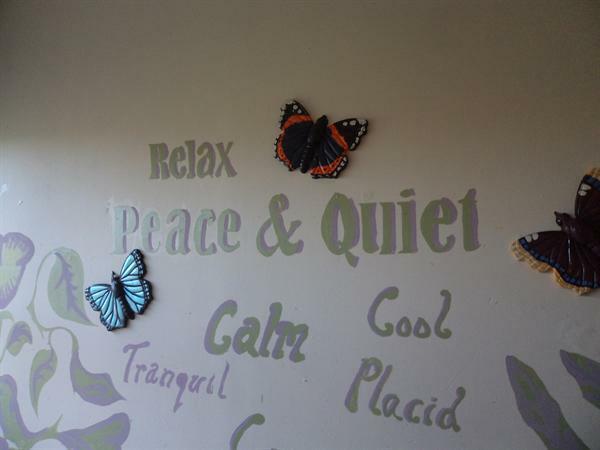 Feedback from both the pupils and the counsellors who use the room has been very positive, and in terms of the design brief being realized the counselling room is most definitely a room that promotes a calming atmosphere.